Here is the latest session of our Sons of Lady Eighty Seven Campaign. You can hear the previous session HERE. 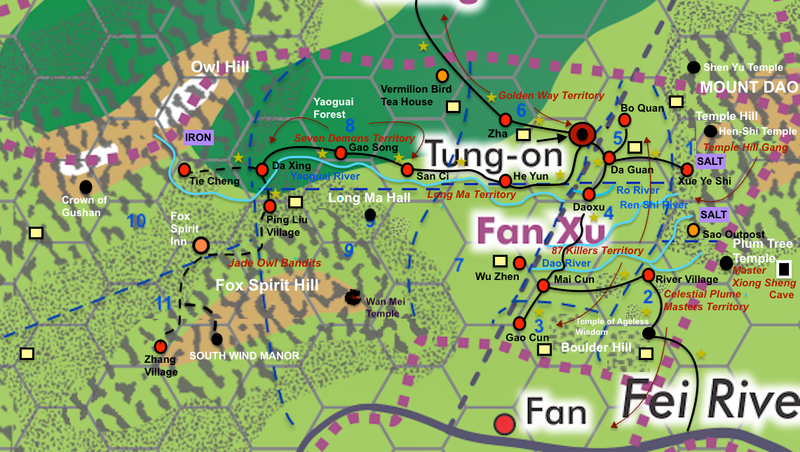 In this session Daofeng, Ping and Boorish Drunken Sword ride into a massive ambush, a funeral is held, and the party makes its stand in Daoxu.